Holy Family Home and Shelter, Inc.
Holy Family Home and Shelter, Inc. operates by the Sisters of Charity of our Lady Mother of the Church. The home endeavors to serve those families whose circumstances have deprived them of an adequate lifestyle and housing. Holy Family Home and Shelter does not seek to pass judgment on any person for their current or past lifestyle. The Home offers families a warm hearted environment while providing nourishment with shelter in a kind Christ - like manner. The Shelter's safe harbor allows for assistance in finding solutions to alleviate their own situation for those capable of living in harmony with others, while respecting their own mutual rights. Holy Family Home and Shelter, Inc., a non - profit organization, is a 28 bed home and shelter for mothers and children, who meet certain criteria. Residents, who stay an average of 60 - 90 days, are provided with 3 meals a day, life skills workshops, case management, laundry facilities, an education program for children, assistance with permanent housing and employment searches, and referrals to other agencies as needed. A staff of 13, including social workers, provide support, a safe environment, and professional assistance. Through case management and workshops we assist our families with the information they need to rebuild their lives. The shelter works with the families to create budgets, formulate life plans and encourage further education. Those in need of help with mental health and/or addiction problems find additional assistance through a collaborative program of the Eastern Connecticut shelters and Perception Programs, Inc. Prospective residents are admitted if they are willing to adhere to shelter rules, follow curfews, help with daily chores, and participate in mandatory case management, including spending plans. Referrals should be directed to the Service Coordinator at 860 - 423 - 7719. 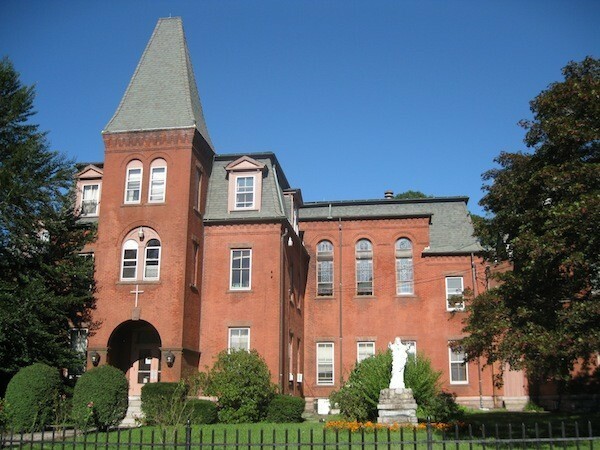 Holy Family receives a grant from the Department of Social Services, State of Connecticut. Funding also comes from Federal Emergency Management Agency (FEMA), the towns of Windham and Mansfield, the Child and Adult Care Feeding Program (U.S. Deptartment of Agriculture), and other grantors. Approximately 20% comes from civic, churches, schools, and individuals, with individual donations comprising the largest amount.